µTorrent Remote is a simple and secure web service that enables access to µTorrent from anywhere on the internet. Just create an account and you're done. There's no complicated network setup required. Head to remote.utorrent.com from any browser (even mobile!) to manage your torrents. When downloads complete, you can even pull the content to your remote device. µTorrent Remote is unlike most other web services. Because we connect to your remote µTorrent client and keep your information private, we do not allow you to sign up on this web site. Instead, you must sign up for an account within the client. Download and install µTorrent 3.3 if you dont already have it. 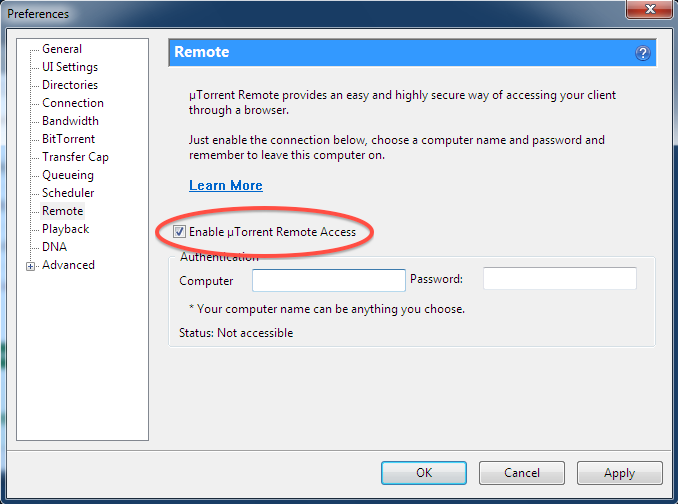 Click the µTorrent Remote Access Preferences button in the µTorrent toolbar. 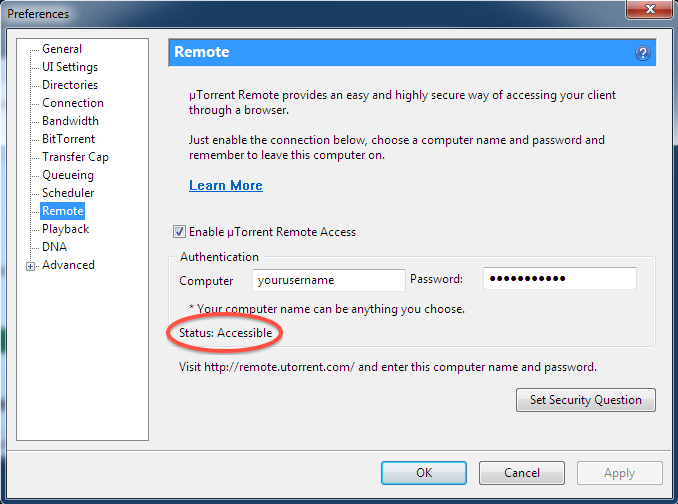 Select the "Remote" section and check "Enable µTorrent Remote Access". That's it. Congratulations! You can now access your client from anywhere at https://remote.utorrent.com. You can also download the free µTorrent Remote app for Android.